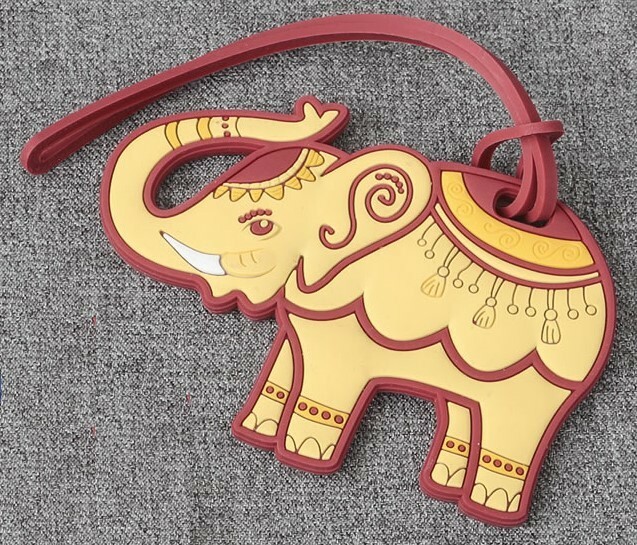 Make your luggage stand out with these cute elephant luggage tags. They also make great destination event favors. These adorable rubber elephant tags are ruby red and cream. They have white tusks and raised details giving a 3D effect. The back of the elephant has a clear plastic window that holds a blank luggage tag which is included. The card has space for important information such as name, address and phone numbers. Let your clients travel in style with these fun elephant themed tags. They also make great destination event favors. Fun tags to make your luggage stand out!